READ THE REPORT — In his February 2018 report from the Center for Strategic and International Studies’ International Security Program, Col. Mark Cancian, USMC Ret., a senior adviser at CSIS, argues that “the return of great power competition” after a seven-decade-plus hiatus makes dealing with strategic surprise an urgent matter. 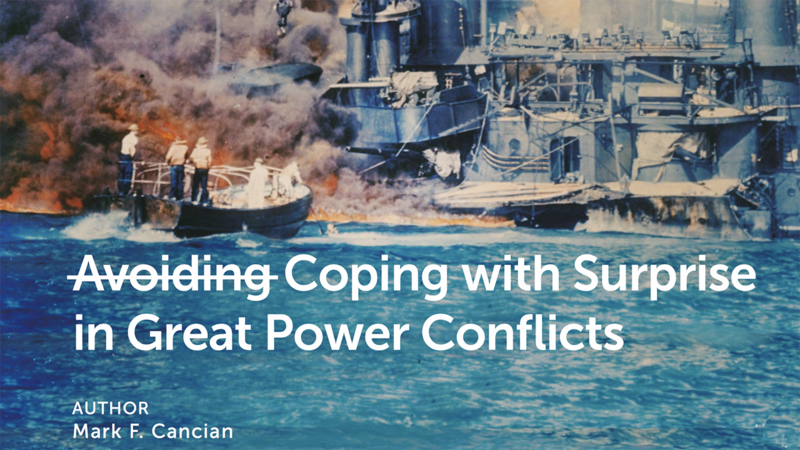 “This study, therefore, examines potential surprises in a great power conflict, particularly in a conflict’s initial stages when the interaction of adversaries’ technologies, prewar plans, and military doctrines first becomes manifest,” he writes. “It is not an attempt to project the future. Rather, it seeks to do the opposite: explore the range of possible future conflicts to see where surprises might lurk.” Learn more about the report here.